IBM researchers have predicted five ways its researchers will transform farming worldwide within five years time. Scientists are currently working on new technological solutions, including using AI and cloud-connected devices, to meet the demands of global food production. With the global population set to rise to 8 billion by 2024, the US multinational IT company has predicted the use of new technologies and devices, scientific breakthroughs, and entirely new ways of thinking about food safety and security. The world's complex food chain—already stressed by climate change and a finite water supply—will only be tested further, the company says. “Our researchers inspire us to imagine what else could be possible five years from now,” Arvind Krishna, senior vice president of IBM Cloud & Cognitive Software, said in a blog post. Farming’s 'digital doubles' will help feed a growing population using less resources, the company says. 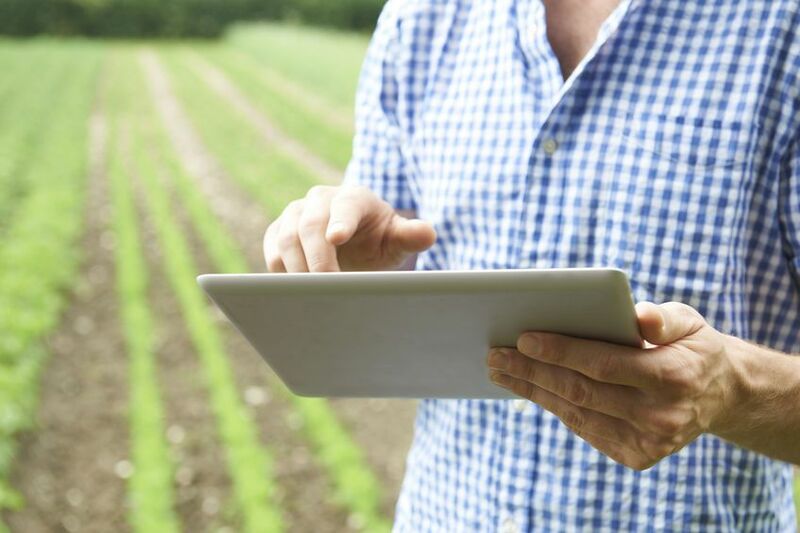 By 2024, digitising and capturing all aspects of agriculture will be a reality, from the quality of the soil to the skills of the tractor driver. It’s known as a 'Digital Twin', and within the next five years, researchers will use AI to use this data to accurately forecast crop yields, which in turn will give banks and financial institutions the data points they need to provide credit to help farmers expand. Adding blockchain into the food supply chain will help eliminate costly unknowns in the process, according to IBM. The technology, along with IoT devices and AI algorithms, will allow every participant in the supply chain, from farmers to grocery suppliers, to know exactly how much to plant, order, and ship, which will minimize waste and increase the freshness of produce on store shelves. Mapping the microbiome will protect consumers from bad bacteria, the blog post says. Within five years, food safety inspectors around the world will gain a new superpower: the ability to use millions of microbes to protect what is consumed. These microbes—some healthy for human consumption, others not—are regularly introduced into foods at farms, factories, and supermarkets. New techniques will enable scientists to analyse their genetic make-up cost effectively, and microbes will tell researchers a lot about the safety of what people consume. In the next five years, farmers will be able to detect dangerous contaminants in their food using a mobile phone equipped with AI sensors, according to the blog post. IBM researchers are creating powerful, portable AI sensors that can detect foodborne pathogens anywhere they might turn up. In five years, the disposal of trash and the creation of new plastics will be completely transformed, according to IBM. “Everything from milk cartons to cookie containers to grocery bags and cheese cloths will be recyclable, and polyester manufacturing companies will be able to take in refuse and turn it into something useful,” IBM says.